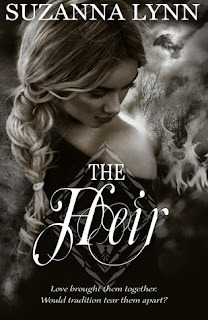 “The Heir” was another great addition to the Bed Wife Chronicles! I got the unexpected in a historical romance—more action and a thickened plot. Mind you, “The Heir” is not your typical romance novella. It read more like a magical fantasy. Lynn added more interest in this installment with fairies, elves, and a set of royals with questionable motives. The main characters of Luana and Baylin continued to evolve in this book. Luana is no longer the innocent village lass. She’s brave and spunky, totally unheard of any the women of her day. She’s even a lot wiser than she was in book one. Baylin is even more admirable as the heir to the throne. His moral compass shines through on every page. Lynn gives a hint about the motivations of the villains in this book. She’s crafted some good ones and you’ll have to keep reading to find out more about them.